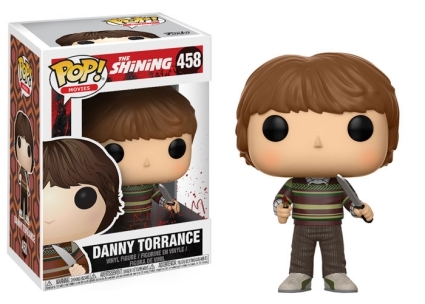 Stanley Kubrick’s epic nightmare of horror gets stylized with Funko Pop The Shining. The eerie set includes iconic characters from the cult classic film. 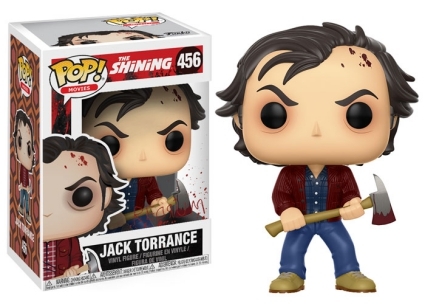 Almost as spectacular as Jack Nicholson's portrayal, Funko Pop The Shining includes Jack Torrance wearing blue jeans and a red jacket. Torrance, whose messy hair reveals the splattered blood on his forehead, stands with feet firmly planted while gripping a blood-stained axe with both hands. 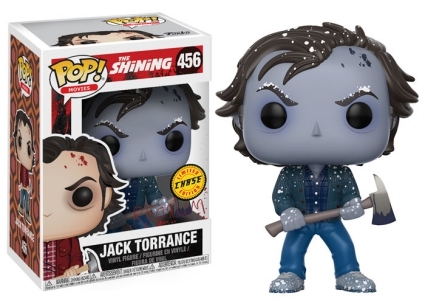 The limited chase (extremely blue) variant highlighting frozen Jack averages 1 in 6 boxes. 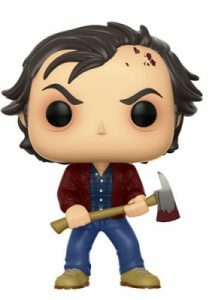 Shop for Funko The Shining figures on Amazon. 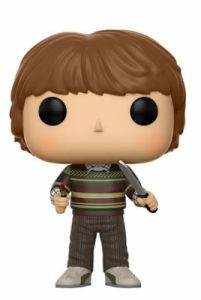 In addition, fans and collectors of The Shining are in for a special treat, as Danny Torrance has the infamous tube of red lipstick, and a knife. The treat? Each box in the lineup comes with the word "REDRUM" in red (lipstick!?) on the clear part of the packaging. This includes The Grady Twins figure set that is paired together as a 2-pack. The creepy girls are exclusively issued through Target with a base and chase version. UPDATE: Funko upated The Grady Twins chase rarity from 1:6 boxes to 1:36 boxes. 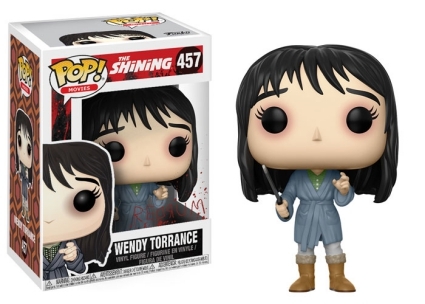 Check out more collectibles for The Shining with our other Funko guides.